Happy 2015! 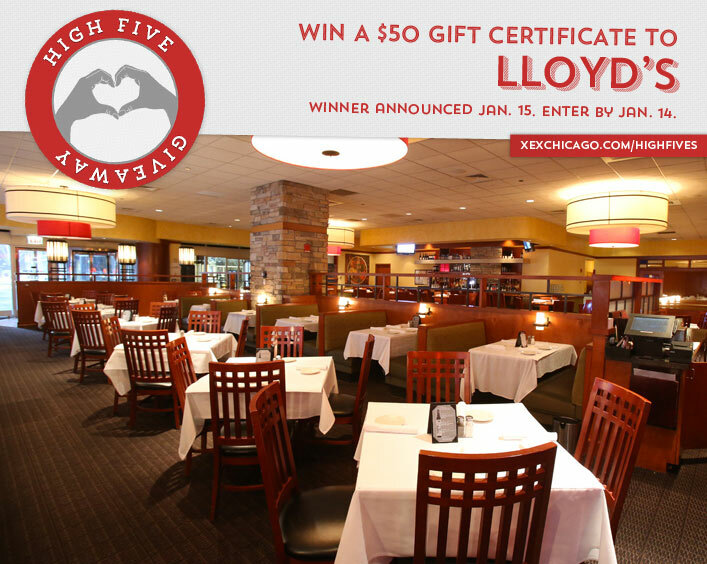 Our first High Five Giveaway of the new year is for a $50 gift certificate to Lloyd’s. Over the past ten years you have helped us donate how many plates of food to those in need through contributions to Feeding America? Now, just add a comment to this post with the right answer to be eligible to win! The winner will be announced on Thursday, January 15. Entries must be received by midnight on Wednesday, January 14. Good luck!